Rajiv Khanna and Dolly Khanna are most successful stock market investors of Dalal Street. 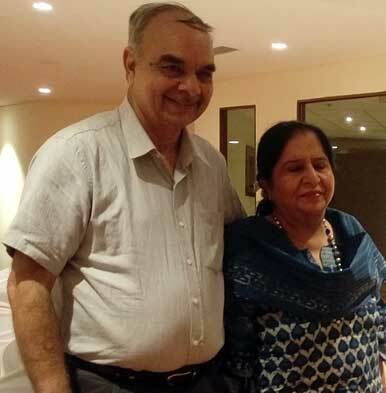 This couple has an incredible ability to identify multi-bagger stocks for investment. They have generated exorbitant wealth from the stock market. Dolly Khanna is Chennai based homemaker. She is famous as a lady with Midas touch. Liberty Shoes, Nilkamal, RS Software and Cera Sanitaryware are examples of few stocks that became multi-bagger after the Midas touch of Dolly Khanna. Dolly Khanna Stock portfolio worth is more than 200 Cr. We can learn a lot of thing from this couple. So, today let’s explore success story of Dolly Khanna and Rajiv Khanna from dairy business to dalal street. Rajiv Khanna is 68 years old IIT Madras graduate. He is the brain behind Dolly Khanna Stocks Portfolio holdings. He is a chemical engineer. He started his career at Jagajit Industries. He has worked in multiple companies as a research associate. Rajiv started his own business “Kwality milk foods” in 1986. 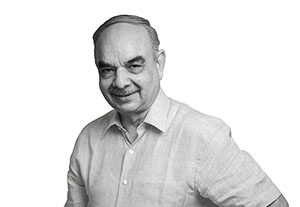 He got his first big break in 1995 when Hindustan Unilever purchased his company. In 1995, Rajiv and Dolly Khanna started their stock market investment journey by investing fund received from Hindustan Unilever. The first decade of this couple in the stock market was full of ups and downs. They have faced multiple losses in IT companies. However, their patience and perseverance paid a result. His first multi-bagger stock pick was Unitech. His investment appreciated 300 times in 2003. In 2007 Dolly Khanna alias Rajiv Khanna invested in Hawkins cooker. Hawkins cooker turned out to be next multi-bagger for them. Then, he never back again. He went on identifying small cap stock such as Wimplast (grown by 7 times in two years), Cera Sanitaryware (grown by 7 times in two years), RS Software (grown 4 times in less than two years), and Liberty Shoes (doubles in 3 months). Fan and follower of Dolly Khanna always seek information about buying and selling activity of her. In order to help them here is a comprehensive list of Dolly Khanna Stocks Portfolio Holdings. Dolly Khanna and Rajiv Khanna follow investment philosophy of Peter Lynch famous American businessman and investor. Thoughtful investment is what they do. Invest in what you know. Do a fundamental stock research before making an investment. Never Invest based on insider’s information or speculation. Invest based on public knowledge and information. Study market situation and pick stock accordingly. Dolly Khanna portfolio clearly says that invest only in small cap or mid cap stocks. Your chance of finding multi-bagger stocks is high when you go for small cap and mid-cap stocks. Rajiv Khanna and Dolly Khanna invest in consumption based stocks like cookers, shoes, denim, plastic, paper etc. All these companies deal in a middle class product where the demand of the product is likely to be very high. Invest only in few stocks after doing careful research. Exit from stock as soon as your target is achieved. No need to stay attach with stock unnecessarily. Never invest in banking stocks and pharma stocks as these stocks are risky and affected from RBI or FDA regulation and news. Do you think investment philosophy and advice given by Dolly Khanna and Rajiv Khanna is useful? excellant advice everyone should follow it. Your views about Loyal Textile Mills.